Apartamento perfecto para pasar en familia unas buenas vacaciones. Las vistas, la comodidad, la atención del dueño. Todo excelente. La ubicación en la puerta de entrada a la sierra de Cazorla y suficientemente cerca de Úbeda y Baeza, La vistas a la campiña y lomas repletas de olivos y con un horizonte infinito, son espectaculares. Muy cómodo, limpio y el propietario muy atento. Nos explico rutas y sitios que visitar. Muy contentos. 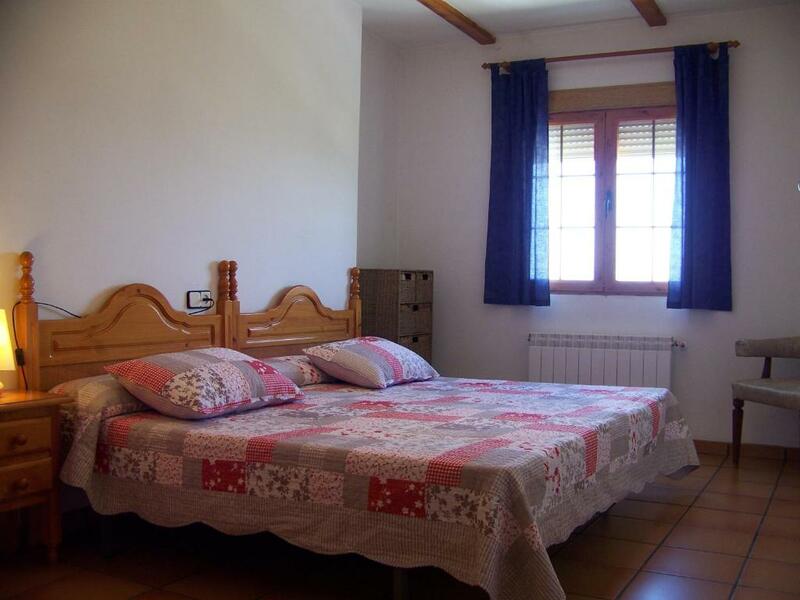 Lock in a great price for Apartamentos La Iruela 2 – rated 8.6 by recent guests! One of our best sellers in La Iruela! Located in La Iruela, in the Sierra de Cazorla Nature Reserve, Apartamentos La Iruela 2 offers free bicycle hire and free transfers to Cazorla Bus Station. Each air-conditioned apartment has wonderful countryside views. Each heated, rustic-style apartment has a balcony, a private bathroom and a lounge with a TV. The kitchenette includes a hob, microwave and a washing machine. Toiletries, sheets and towels are provided. Apartamentos La Iruela 2 is located 650 feet from the center of La Iruela and 2,650 feet from Cazorla. A range of bars, restaurants and shops can be found nearby. You can go hiking, cycling or fishing in the surrounding Sierra de Cazorla Nature Reserve. The UNESCO World Heritage City of Úbeda is a 35-minute drive away, while Granada is 93 mi away. In July and August, guests also enjoy free access to the municipal open-air swimming pool, located 1,000 feet away. This property is also rated for the best value in La Iruela! Guests are getting more for their money when compared to other properties in this city. 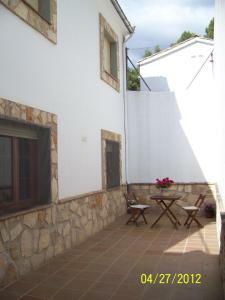 When would you like to stay at Apartamentos La Iruela 2? 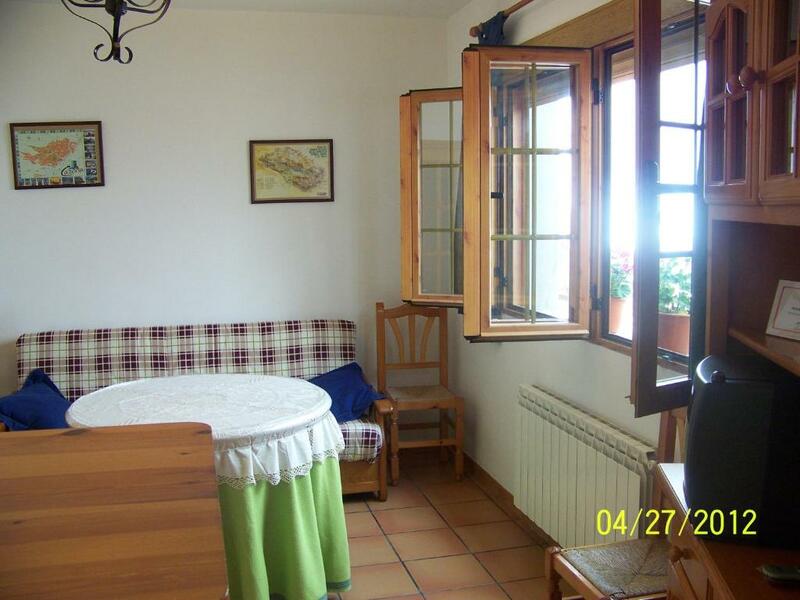 Located on the first floor, this rustic one-bedroom apartment has a balcony with wonderful countryside and mountain views, a private bathroom with a bath and a lounge with a TV. There is also a spacious patio with outdoor furniture. The kitchenette includes a hob, microwave, coffee maker and washing machine. Toiletries, sheets and towels are provided and apartments have both air conditioning and heating. The bedroom comes with 1 double bed or 2 single beds. Located on the third floor, this rustic two-bedroom attic apartment has a spacious terrace with wonderful countryside views, a private bathroom with a bath, and a lounge with a TV. The kitchenette includes a hob, microwave, coffee maker and washing machine. Toiletries, sheets and towels are provided and apartments have both air conditioning and heating. One bedroom comes with a double bed, and the other comes with 1 double bed or 2 single beds. Located on the second floor, this apartment offers countryside and mountain views from the living room and bedroom. The bedroom comes with 1 double bed or 2 single beds. There is 1 bathroom with a bath tub. Complete with a breakfast bar, the kitchen includes a small balcony. Located on the first floor, this apartment offers countryside views from the living room and bedroom. The bedroom comes with 1 double bed and a sofa bed. There is 1 bathroom with a bath tub. The living room has an additional sofa bed, and the kitchen is complete with a breakfast bar. Located on the second floor, this air-conditioned apartment features spectacular countryside views from the bedroom and living room. It has 1 bedroom with 1 double bed or 2 single beds, as well as a bathroom with a bath. The living room has a sofa bed, and there is a breakfast bar in the kitchen area. Es un lugar tranquilo, pero muy cerca de Cazorla y de La Iruela, por lo que se tienen a mano todos los servicios necesarios. Me encanta La Sierra, las excursiones, los deportes y las actividades que permiten el vivir aquí. Y trasmito a mis visitantes esa pasión. House Rules Apartamentos La Iruela 2 takes special requests – add in the next step! Please inform Apartamentos La Iruela 2 of your expected arrival time in advance. You can use the Special Requests box when booking, or contact the property directly using the contact details in your confirmation.